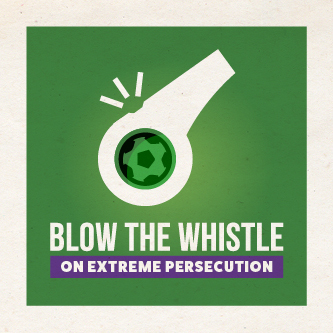 This World Cup blow the whistle on persecution and cheer on followers of Jesus who courageously live out their faith in places of intense hostility. Love football? Of course you do! 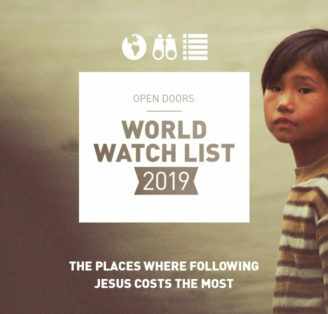 This summer, as you watch some of the best footballers in the world do their thing, follow one of the teams which feature on the Open Doors World Watch list (the 50 toughest places on earth to be a Christian) and kick off about the injustice and persecution millions of Christians face on a daily basis. Check through the ideas below to ‘Pray When They Play’, hold some World Cup gatherings or even raise some funds in the process! Who should I cheer on? The following eight teams feature in the 2018 World Cup and are also on the current Open Doors World Watch List (the toughest 50 places on earth to be a Christian). So, choose one, some or all and take time to cheer on Christians in these countries during the World Cup! Host a World Cup party! The World Cup brings people together – not just nations, but friends and families! So, host a World Cup party/gathering with your mates, your family, your youth group, or even invite the whole church! Plan a great afternoon or evening focussed on football and include some extra time to think about the challenges facing persecuted Christians. It doesn’t need to be complicated – you could just hold it in your living room – but if you want to scale things up and go big – then do. Keepy up competition: See who’s got the skills to pay the bills. Set up the table football, or even go old school and get the Subbuteo out. Get your gaming action on and put Fifa on the Xbox or PlayStation – and hold a mini comp. Get it on a big screen (You never know, England might actually win). Get everyone to come along wearing football shirts, or at least the colour of a team playing in the World Cup. Make a playlist using World Cup songs. Maybe even play some of the videos! If you run an event where children are invited, iclude a face painting area and paint flags on people’s faces (the Nigerian and and Colombian flags are pretty easy to do). 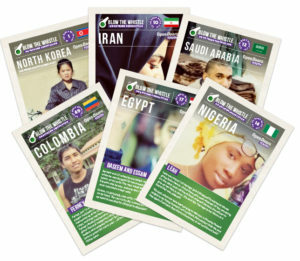 If a game goes into extra time share some stories of extreme persecution (use these prayer cards) and take the time to write a card to a persecuted Christian. All within 30 minutes! You could collect donations for the World Cup event or charge a small entry fee and help provide essential support and relief to persecuted Christians living in one of the countries listed. 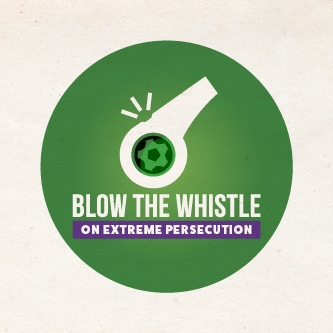 Use these ideas to raise some much needed funds for persecuted Christians during the World Cup! Try a sweepstake, put a big screen up and charge entry, get sponsored to wear one countries kit or get your hair cut like Neymar! Any money you raise will go to cheer on Christians where the needs are greatest. That could mean providing trauma care for widows and orphans in Nigeria, supplying Bible’s and Christian literature across the Middle East and North Korea or helping the church around the world to keep shining God’s love during the darkest of times! Put all the names of the teams taking part in the World Cup in a hat and get each person to pick out a team (or two). Charge £3 per team/pick until all the teams are gone. Spend £5 of the kitty from picks on prizes for the teams that come 1st and 2nd (some chocolates, drinks or snacks), and give the rest to Open Doors. The winner is the person that choses the team that wins the World Cup (and runner up is the person that picks the team that loses in the final). Host a World Cup game at your house, but charge a small entry fee and donate the funds to Open Doors. Crack out the snacks, drinks and some of the ideas on page 4 to make sure your World Cup Party kicks off in style! Get sponsored to wear your favourite football kit (or the one you wear for Sunday league) for an extended length of time. That could be a whole day, 3 days or even an entire week. If you’re keen you could even go with socks, shorts, shin-pads and associated footwear. Try this one at your school, college, uni, workplace or just with your mates! Organise a non uniform day with a twist. Everyone pays £2 and then gets to wear their favourite football shirt for the rest of the day. Footballers love a good haircut. Just look at Neymar or Marouane Fellaini. So why not join the football style icons and get sponsored to have a crazy haircut. You could raise money by shaving all your locks off – or you could grow it out and style it up like the cream of the Premiership! Kick off with this stuff! Raise money, or want to give?